that LE edition 2006 is still in my mind. Just change the suspension components, lower it a bit, do a pro alignment and it's perfect. No need of body kits or ground effects. Now this is what I hate about the NA miata *flamesuit on*, you can do what the hell you want with it, maybe too much. It's like an iPhone or a Android phone, countless hours/days of modding it again and again and again, adding more and more apps but in the end, it makes you busier. It's the opposite of what an smartphone should do and it just never ends. It's a bit like the NA Miata once you seen all the DIY threads they have. Someone like me will overflow with ideas and tend to do everything all together and not one by one in order. This is my poison. This is why I'm going toward the NC, there's not much DIY stuff for them and it's better this way for me. 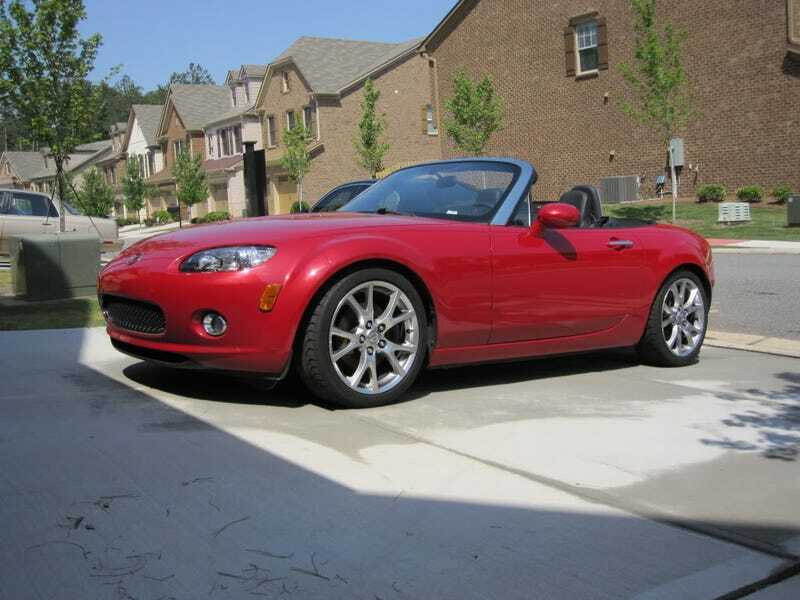 Come to think of it, no one post NC miatas pictures here. Would you do an EV conversion on your favorite car?